This specialty pharmacy consulting and technology company was experiencing the classic symptoms of a once-small company suffering from big growing pains, and declining sales in the increasingly competitive specialty pharmacy technology market. Their leadership team knew that its traditional marketing approach desperately needed reevaluation. 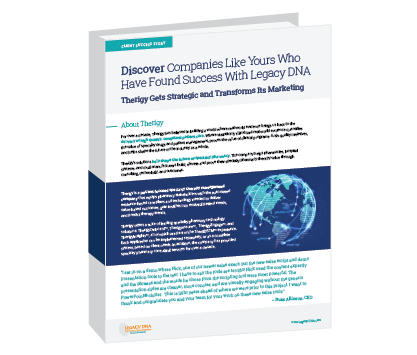 That’s when they engaged the specialty pharmacy marketing experts at Legacy DNA.